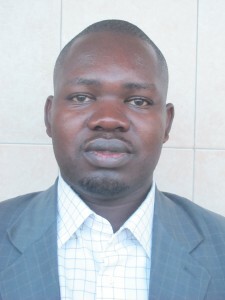 Gerald Businge is a Ugandan graduate multimedia journalist, trainer, researcher and communications specialist. He studied Journalism and Communication at Makerere University (2003), and Multimedia Journalism and entrepreneurship at the University of California, Berkeley Graduate School of Journalism (2010), as well as multimedia training from the Radio Netherlands Training Centre. He is the co-founder of Ultimate Multimedia Consultgroup that offers editorial and documentation services and runs several new media ventures. Businge teaches New Media and Multimedia production techniques at Makerere University’s Department of Journalism and Communication and manages Action for Transparency project at UMDF. Businge previously worked with several media houses in Uganda, Kenya, South Africa, Rwanda, Malaysia & USA as a reporter, writer, correspondent, editor, trainer and manager. His current career interest is popularizing the adoption of new media tools and practices for better journalism and communications, as well empowering people to become their best. You can follow him at his personal website, Making It Better Twitter: @gbusinge, facebook, Google+ & Linkedin. 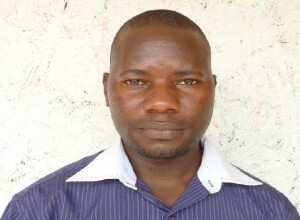 Businge started off his journalism career in 1999 with Kagadi Kibaale Community Radio. He joined The New Visionas a Features Writer in 2001 and left in 2003 to start Ultimate Media Consult (U) Ltd as a founding member and Managing Director. He later co-founded Ultimate Multimedia Consult (U) Ltd that runs several new media ventures including yaaka sports.sekdrive, ugandaoil, weinformers, ultimate multimedia training, ultimate multimedia consult, campus times uganda, makerereplus, among others. Tumwine Busobozi Edward is a graduate of Uganda Christian University with a Bachelor’s degree in Journalism and Mass Communication. He is trained in multimedia packaging and also photography skills. He has previously worked with SM Moments Photo Studio as a senior photographer and carried out an internship from Ultimate Multimedia Consult where he attained multimedia packaging skills. He is dedicated to providing content of any form in a well packaged digital way to meet the modern day demands of our developing society. 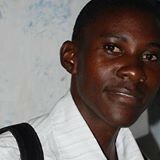 Christopher Zziwa is a multimedia person, he was awarded a Diploma in Mass Communication from Kampala University and is a multimedia practitioner, with skills in news gathering, packaging, editing and online publishing. He previously worked as a radio presenter and sports analyst at Joy FM. He does video & audio recording, editing and production for online and other consumption. He is currently working with Ultimate Multimedia Consult , and can also design and manage websites. He loves photography, videography, video editing, writing, reading, sharing new ideas and interacting with reasonable friends for skills development. Jane Ndibarekera Bukenya is a Writer and website Content Manager. She studied Bachelor of Journalism and Communications at Makerere University. She has experience in website design and social media management. In addition to that she is a skilled photographer and editor as well as video producer. She has worked with Vision Group under the Bukedde Umbrella as a writer for the paper. Philimon Badagawa studied B.Sc.Journalism from Nkumba University. He is a multimedia practitioner, with skills in news gathering, packaging, editing and online publishing. He previously worked as a journalist with Observer media and authored several articles and stories. He does research, video & audio recording, editing and production for online consumption. He is an entrepreneur and founder of The Campus Times. Can also design and manage websites. He is in love with photography, writing, reading, sharing new ideas and interacting with reasonable friends for skills development. Hindu Nabulumba is a Writer, producer, website Content Manager and brand manager. She has Bachelor of Journalism and Communications at Makerere University. She has experience in website design and social media management. She is a skilled photographer and editor as well as video producer. She is working with Ultimate Multimedia Consult as the PR and promotions manager and is also working at Panos Eastern Africa as their multimedia personnel helping with managing their website and other aspects in that Genre. She brings to UMC a wealth of experience gained over the years in journalism and Multimedia as well as communication skills where she is able to work with others to bring the world into a digital helm of learning. Prior to UMC, she has also worked as a youth communicator for NGOs such as Reproductive health Uganda and the Red Cross.